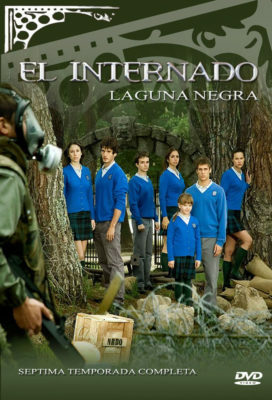 This amazing adventure has come to an end with the latest episodes posted now, fans of the series stay tuned tomorrow we will share a new Spanish series featuring familiar faces from El Internado, it’s the new NF Spanish series “Las Chicas del Cable” starring “Yon González“, “Blanca Suárez“, “Martiño Rivas” (El Internado) among other wonderful cast like “Maggie Civantos” (Vis-a-Vis). No worries, you are most welcome and thanks for the kind words. Hope you like the new series. Thank you very much.. You promised and you were up to it – Will await impatiently for the rest of season 7. Thanks for the nice words, hopeful to get the rest of the episodes posted tonight. Thank you guys so much for the awesome episodes!!! Just a quick question though, when will the remaining episodes be posted? Those first 5 episodes went by so quickly, I’m so stoked for the next ones! This is super exciting and heartbreaking. I love this group so much. Marcos/Ivan and Ivan/Julia are my brotp and otp – and I don’t want it to end. Thank you so much!